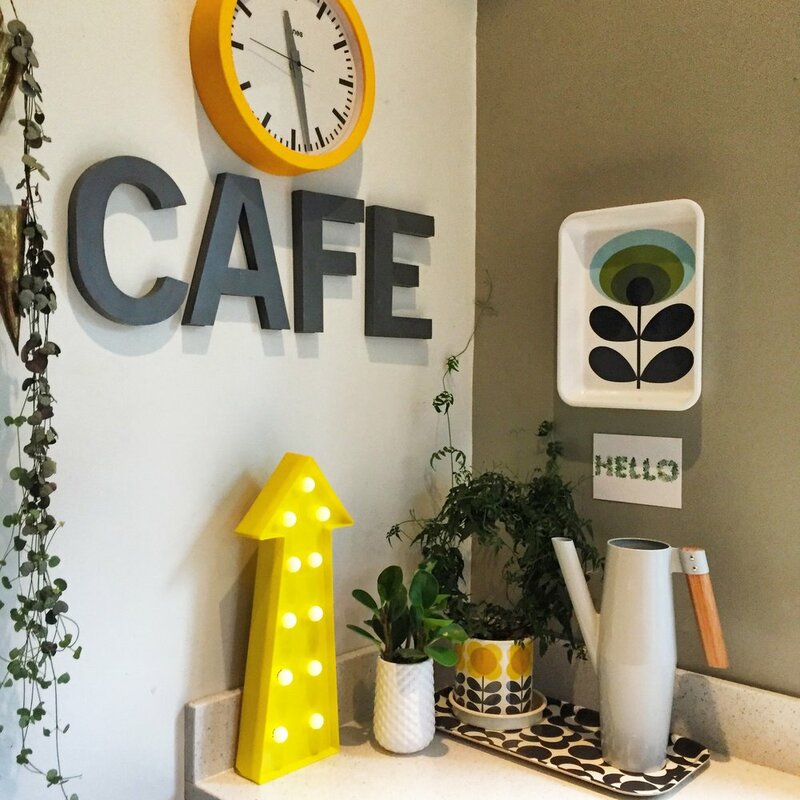 Earlier this year I celebrated a milestone birthday & I'm now, like much of my interior, officially Mid-Century! 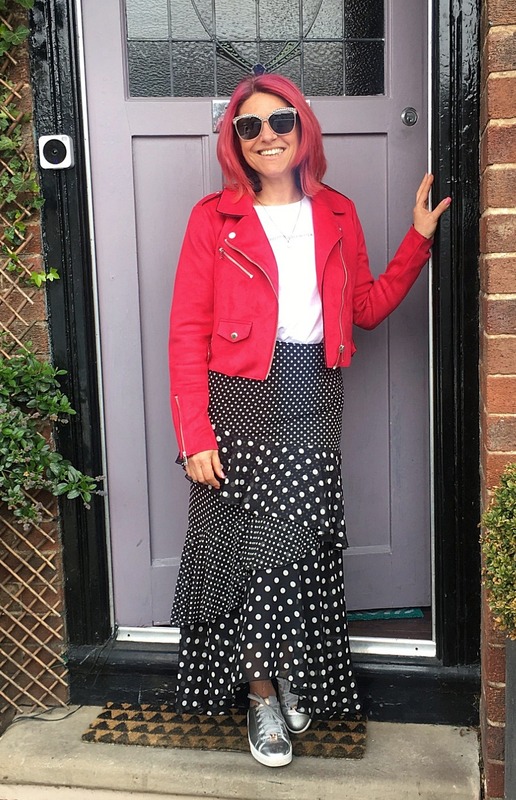 Here's me stepping out on my 50th birthday - officially Mid-Century! I decided that, as it was approximately twenty five years since I'd held a party to celebrate my OWN birthday, that I'd push the boat out and throw myself the best party in best party land!! I opted for a totally self centred, self indulgent affair, focusing on my absolute favourite things, food, drink and anything Pink! The catering was booked, the garden was cleared and our well used marquee/ gazebo was unearthed from the garden shed. Mr D, inspired by Pinterest, then excelled himself by building me my very own 'garden bar', using a couple of skip rescued wooden pallets, some chip board offcuts from the local DIY store and a £5 tub of black fence paint! The weather forecast for my birthday weekend was changing on an almost hourly basis, tittering on the edge of intermittent showers to torrential downpours! I was literally having myself a complete 'nervy b'! 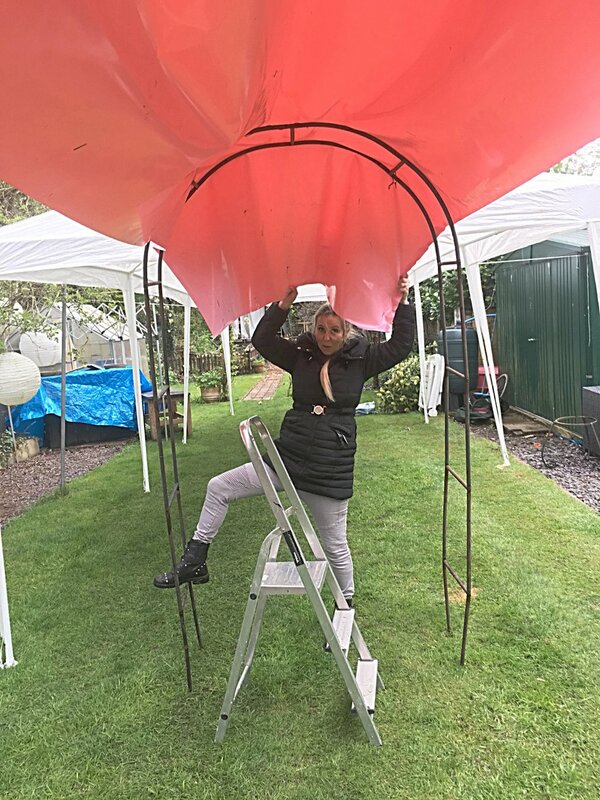 We decided to get the gazebo erected early on in the week before the party, in the hope that the grass inside it would remain dry, thus avoiding any resemblance to the main camping field at Glastonbury for my Pink clad party revellers! ... and so the gazebo construction begins! As the temperatures plummeted & the chances of rain increased, I began to realise, there was little chance that my 50+ guests were going to remain in the aforementioned garden structure for the whole evening! The reality was, I was not going to be able to contain them, like cattle in a pen, no, they were going to want to take shelter IN THE HOUSE!!!! This meant, that although, with 10 years experience in venue styling, no matter how much festoon lighting, faux blossom trees, hanging lanterns and bunting I put up outside......Jona Lewie's immortal words, were ringing in my ears....."You'll always find me in the kitchen at parties"( young people may require resort to the powers of Google at this point!) A super fast kitchen update was the order of the day! 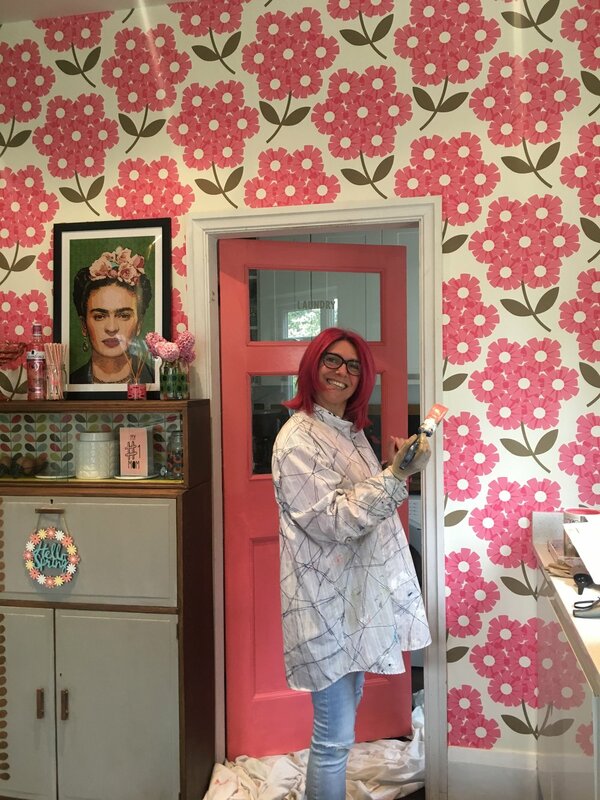 With no time to loose, I ordered some appropriately pink, utterly fabulous wallpaper from the super efficient and competitively priced Wallpaper Sales. My paper arrived within a few days and Operation Pink-It -Up was ready to commence! With five days to go until my party & as fortune would have it, MrD was away on business for a couple of days & my daughter/parter in crime & I were dangerously left 'home alone'! Let the relatively unplanned kitchen revamp begin! As we stepped back to admire our handy work, it became blindingly obvious that the NEVER 'properly painted' door, stood out like a sore thumb and looked even LESS 'properly painted' when sandwiched between two beautifully wallpapered walls! There was no way around it! The door needed colour and fast! 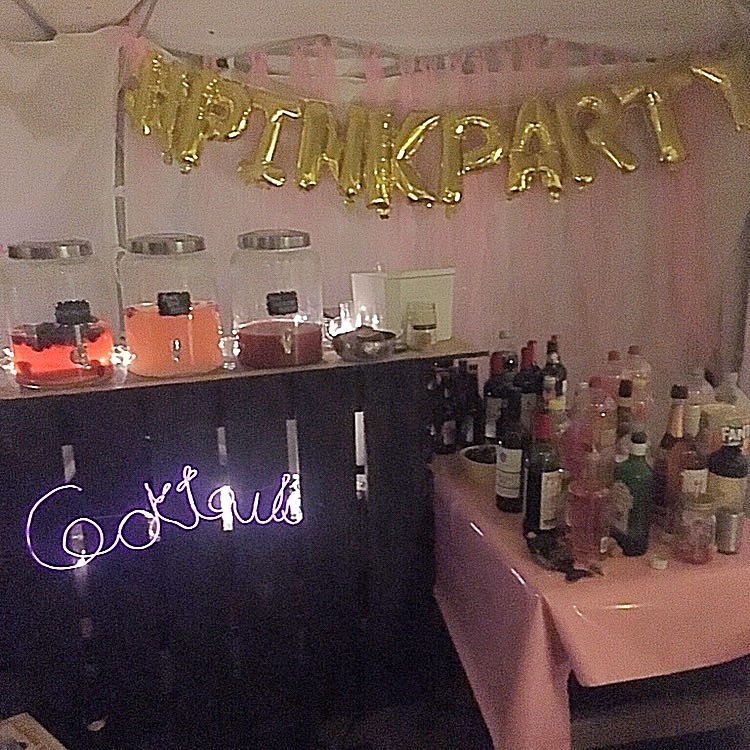 And so, after days of faffing with my gazebo outside and fannying about with my garden bar, my Big Birthday Pink Party came and went! 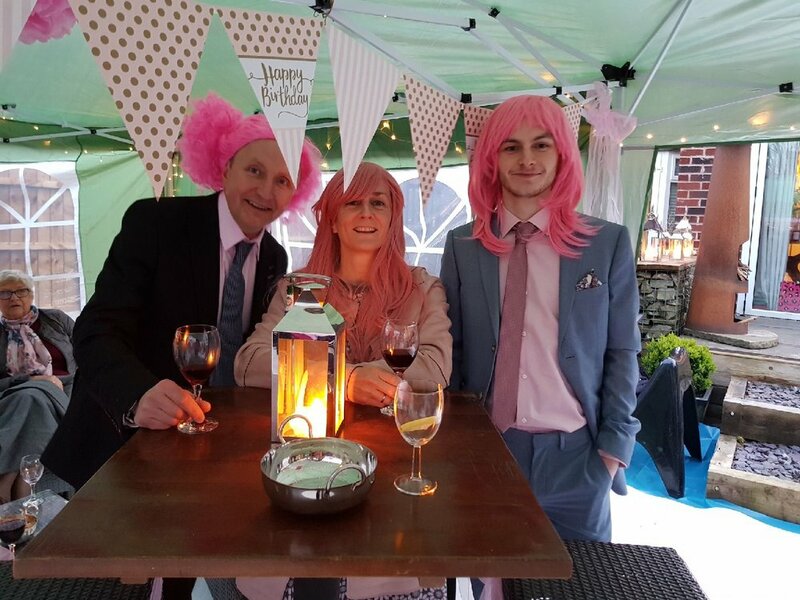 The rain held off for the whole evening, the selection of pink cocktails flowed freely all night and the freshly prepared & baked pizza's went down an absolute storm!! 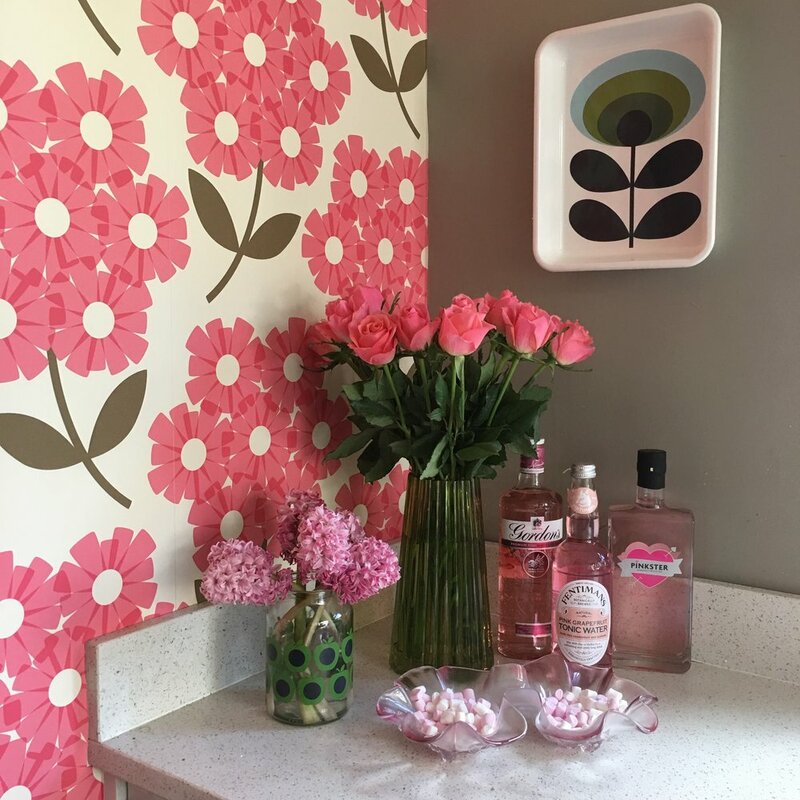 It was a truly a fabulous evening, a brilliant time was had by all and everyone agreed that my Pink Party Pimped up kitchen wall looked Positively Perfect! !